As we get closer to the iPad launch on April 3, speculation is growing over what iPad applications will be available on day one. Several blogs over the weekend obtained alleged screenshots of a variety of "upcoming" iPad applications including a Yahoo Entertainment app, FileMaker's Bento, and the Omni Group's Mac OS X sketching application Omigraffle. These reports follow last week's revelation by Amazon it is developing Kindle e-book software for the iPad. The blog PadGadget also reported last week it had uncovered the titles of some iPad games that may be available by Saturday. It looks like Yahoo has packed a ton of content into its free Yahoo Entertainment application, according to 9-to-5Mac. One Yahoo Entertainment screenshot shows links to five news sections including business, entertainment and tech news, as well as current headlines. There's also a link to Yahoo Sports, the Yahoo Finance blog Tech Ticker, Yahoo Kids Movies and JibJab. 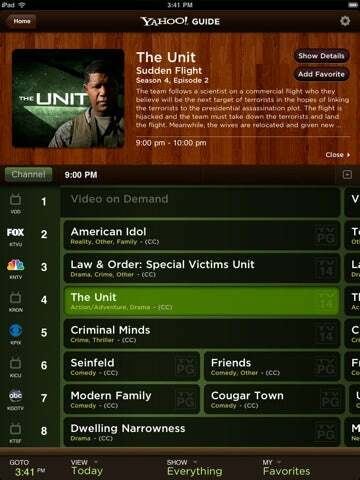 The embedded image shows what may be Yahoo's TV listings application on the iPad. Omni Group's popular Omnigraffle sketching application is coming to the iPad, according to MacStories. This app will let you create illustrations like mind maps, diagrams and page layout designs. 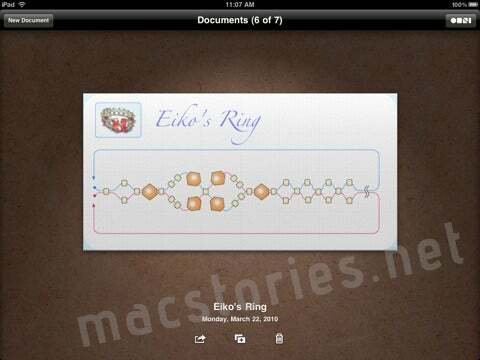 The iPad app will also sync with the Mac version. Omnigraffle for iPad will purportedly cost $49.99, which is quite pricey considering the basic Mac version is $99.95. But take note that if more applications like Omnigraffle show up on iPad launch day, this will make a stronger case for the device as an enterprise tool instead of just a content consumption device. 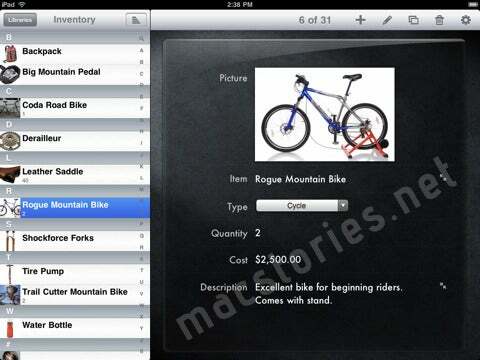 Another utility application supposedly bound for the iPad is Bento for iPad from FileMaker. Bento is a personal database application currently available for the Mac and iPhone from the makers of database software FileMaker Pro. Bento lets you organize notes, photos, calendars, contacts and more for specific projects, groups, classes or assignments. FileMaker's Bento for iPad will reportedly cost $4.99 just like the iPhone version, and will presumably work as a stand-alone application or sync with the Mac version. This is a menu shot purportedly from the iPad version of Flight Control, the popular iPhone game, courtesy of Boy Genius Report. It's not clear how much Flight Control HD would cost, but the iPhone version is $1. 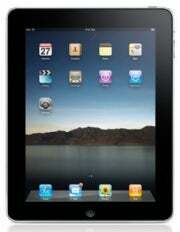 Firemint, makers of Flight Control, confirmed in late January that Flight Control HD is in development for the iPad. for iPad. 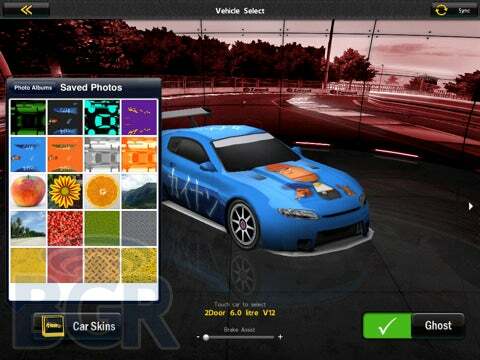 It's not clear if this image is from the actual iPad game, but it's entirely possible considering the similarity to the iPhone version, and Firemint's confirmation on Saturday that Real Racing for iPad is on its way.